Spa is probably now my favourite track! Only one clean race away from licence upgrading to B, then I can race the Lotus '79. Such a fun car to drive! i was very meh with spa, but i tried it with the Williams first go and it just has to much grip. That's two pre-orders for the future then. 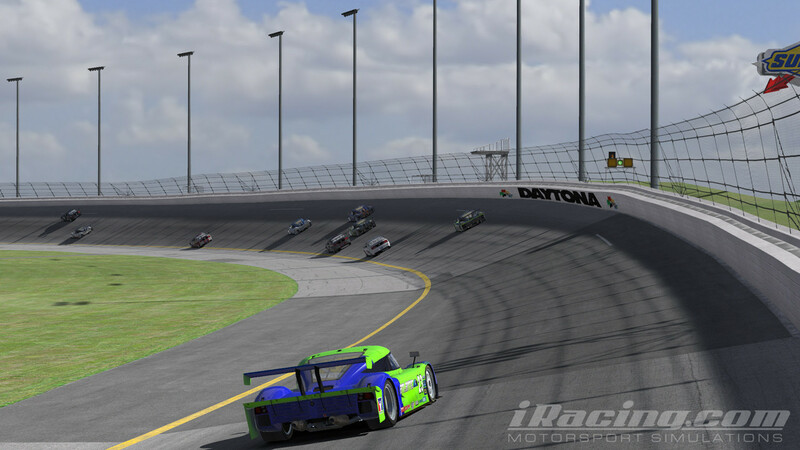 Panky, I and Byron entered the iRacing Daytona 2.4 hour (a shorter simulation of the Daytona 24 hour) last night, with varying levels of success. Panky was in split 12 (1 being the fastest, 25 being the slowest). He ran in the GT Class and finished 4th in class. Fantastic result. Byron was in split 5. He ran in the Prototype class and won, by 8 tenths of a second after over 2 hours of racing. My race was less successful. I was in split 4. 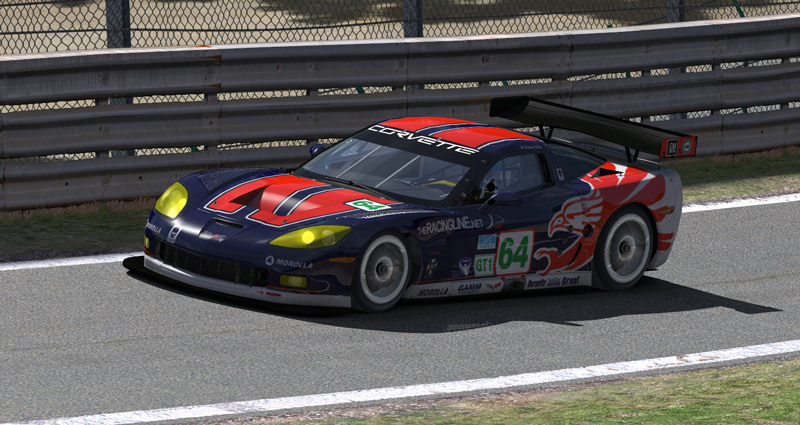 I started a lowly 14th in the Prototype class. I managed to miss the accident on lap 1 by taking a massive detour accross the grass. I dropped to 25th in class. 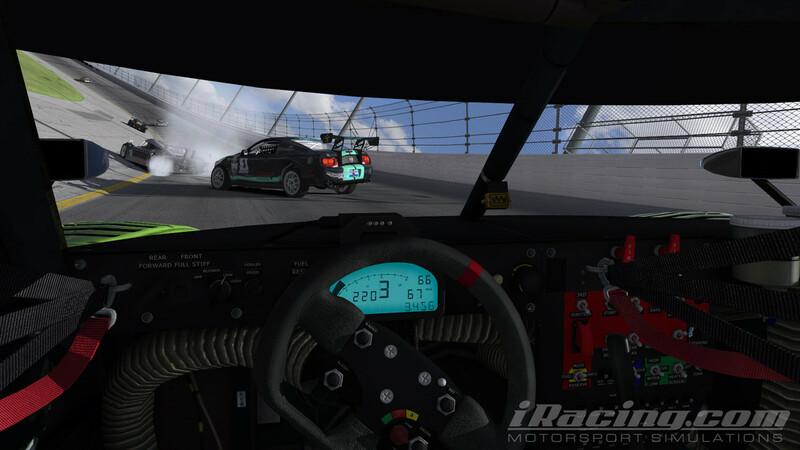 By lap 17 I was back up to 12th, and the fastest car on track. Then an accident on the banking involving a Prototype and a Mustang managed to take me out. After repairs I was still on the lead lap, but 20th. 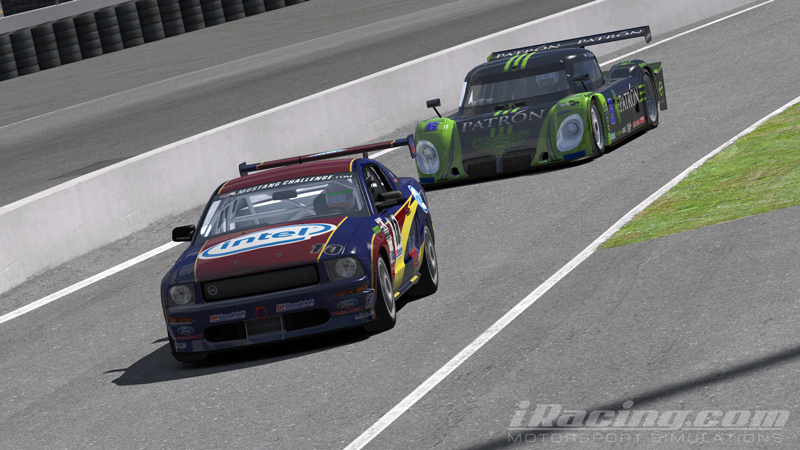 By lap 45 I was 12th, and the fastest car on track again, now only 1 minute behind the leader. Downshifting for turn 1, the engine blew (don't know if it was anything I did, or it was fluke) and that was it over for me. Edited 1 time(s). Last edit at 01/30/2011 04:36PM by SchueyFan. You get the usual lag when there is a big crash. Cars sometimes act unpredictably when bouncing about. Under normal racing circumstances it's almost flawless, apart from Australians who get mega high ping on US Servers. They have there own server farm to allow them to race with lower pings. It was the best racing ever! Fair drivers, two and a half hours of sweaty noisy racing, real competition, awesome. I still think that the SR system is a bit harsh on Mustang drivers because I collected a fair amount of incident points being forced to be generous in some corners, but it has its point so I'm not complaining. 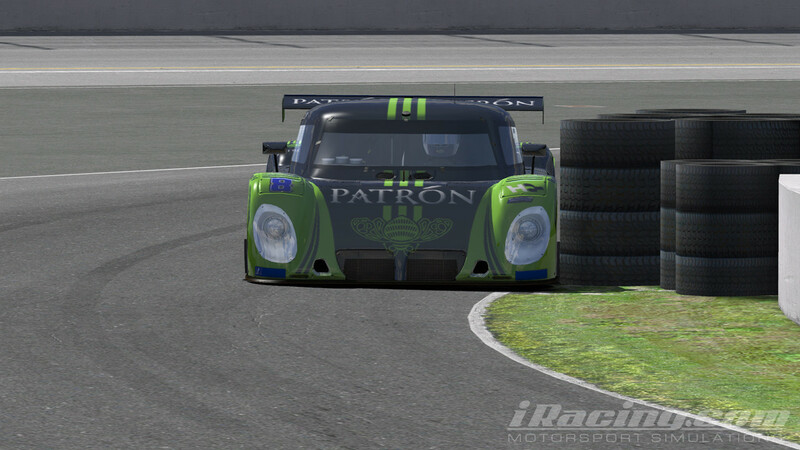 I'm the Highcroft Acura Daytona Prototype. Black with green stripes. 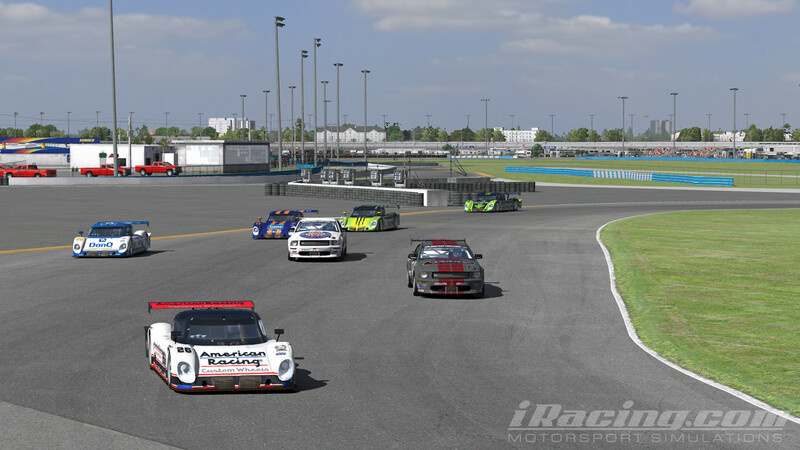 I started 14th out of 29 Prototypes after having a poor qualiftying. Screenshot is limited number of cars. My PC can't cope with 40 on screen. 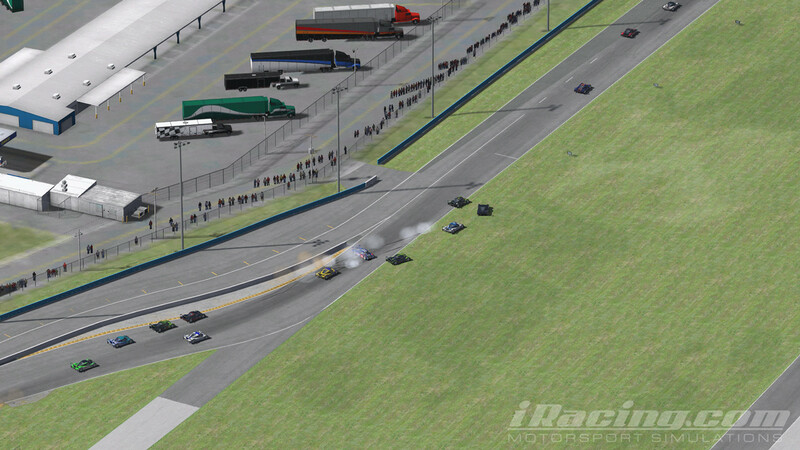 I take to the grass avoiding the turn 2 accident. Lose a bunch of spots, but take no damage. Only takes a few laps to catch the GT class. Coming off the road course onto the banking. NASCAR 1 and 2. GT Mustangs hold the bottom line, Prototypes around the outside. Bit busy braking for the bus stop. A Prototype runs over a Mustang on the banking and I have no where to go. 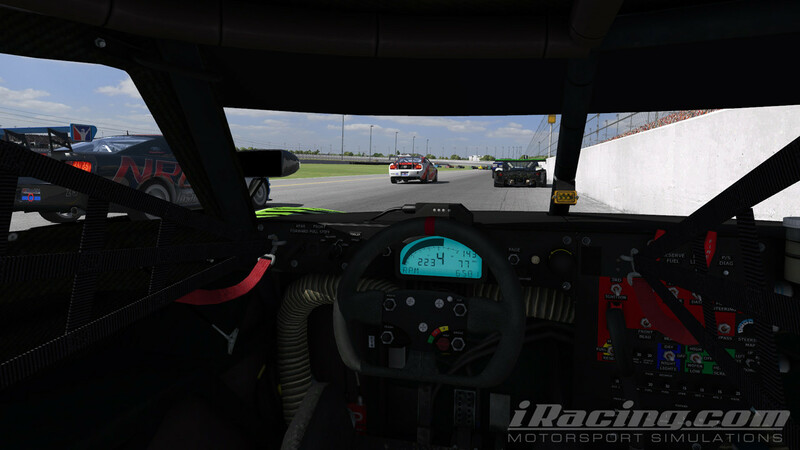 No avoiding this one - back to the pits for repairs and I just manage to stay on the lead lap. Cutting it a bit fine with the tyre stack in turn 1. A lap later I blew the engine down shifting for turn 1. Race over at the half way point. A couple of screens from my split which is the same that Byron won but less fortunate for me.. 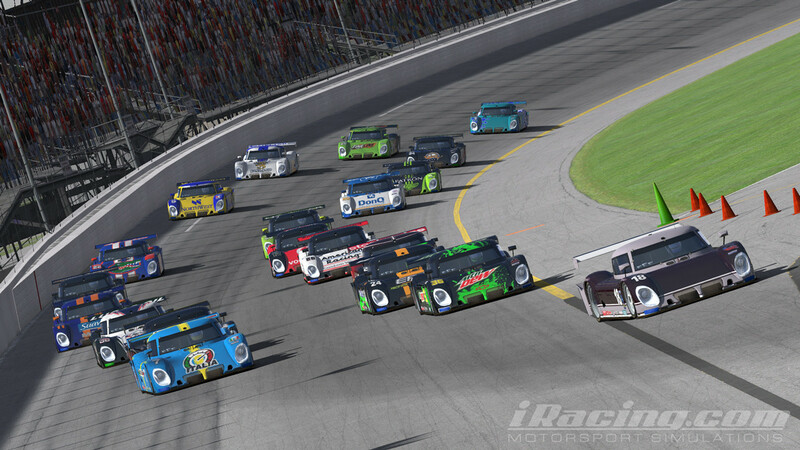 I started 28th out of 30 Daytona Prototypes. Somehow I managed to avoid a wreck at the start in a "Days of Thunder" moment. I managed to climb up to 7th and keep running at a similar pace as the leaders. 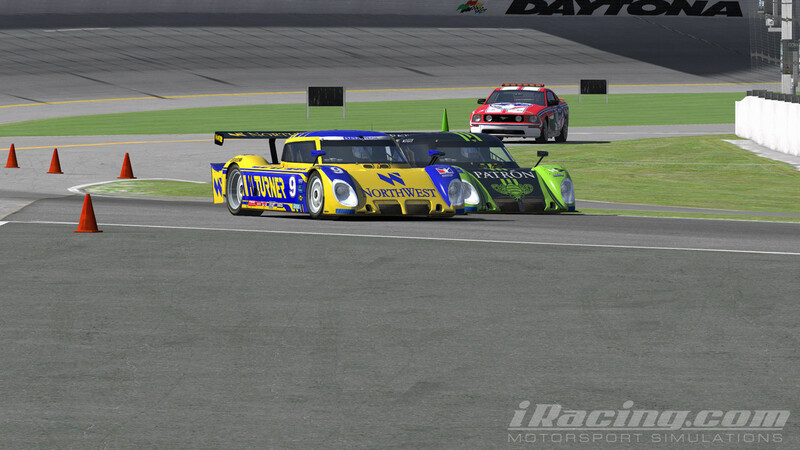 On the final laps when fighting for 6th I collided with the car nº5 and I only finished 11th. But what a great race that was! Anyone running the Spa 2.5 hours? Hoping for 60 cars! Panky and I practising for Daytona. When you take the Safety Rating out, people drive like morons again. How far was that into the race? Edited 1 time(s). Last edit at 02/06/2011 10:09PM by msater. 7 laps. Shark car spent the entire time all over the place and being in the way.